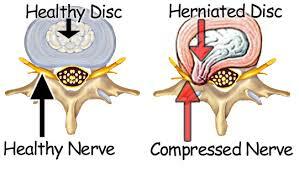 A slipped disc – known as a prolapsed or herniated disc – occurs when one of the discs that sit between the bones of the spine (the vertebrae) is damaged and presses on the nerves. 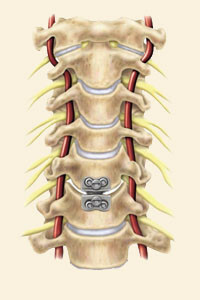 This can cause back pain and neck pain, as well as symptoms such as numbness, a tingling sensation, or weakness in other areas of the body. According to our orthopedic surgeons at Orthopaedic Surgery Associates, if the nonsurgical treatments fail to relieve the patient’s pain, a disc surgery is in order. To find out about surgery options for your slipped disc, contact our orthopedic center in Boca Raton and Boynton Beach and consult one of our orthopedic surgeons. We can help you get back to your normal life, with no pain whatsoever. If you have ever tried to find an orthopedic surgeon in Boca Raton, then you will know that there are many to choose from. When faced with such a large selection of orthopedic surgeons, it can be difficult to decide who to choose to treat your injury or condition. Orthopaedic Surgery Associates has many of the leading orthopedic surgeons in Boca Raton and Boynton Beach. If you are unsure or have any additional questions about which orthopedic doctor in Boca Raton (or Boynton Beach) is right for you, please feel free to read the bios of our orthopedic surgeons or Contact Us.